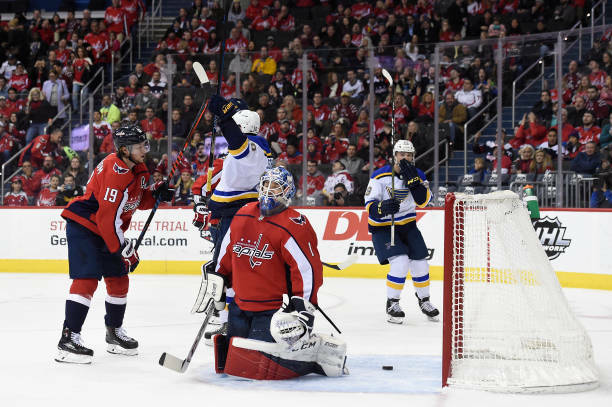 Monday night’s matchup featuring the Washington Capitals and St. Louis Blues offered plenty of headlines to choose from. Pheonix Copley and T.J. Oshie hosted the team that traded them to Washington; the Caps just lost to St. Louis 11 days; and most importantly defenseman Brooks Orpik played in his 1,000th NHL game. The Capitals announced Monday morning that Orpik’s 1,000th game celebration will take place Friday before the Islanders game. 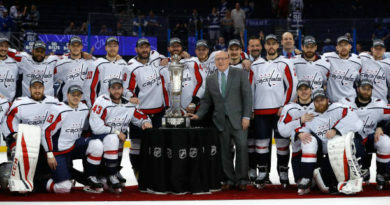 Ironically, that will be Barry Trotz’s first time back at Capital One Arena since last June’s parade. 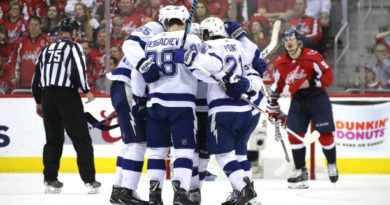 As for the events of tonight, absent Alex Ovechkin’s 33rd goal of season on an opening period power play; the Capitals looked out of sync all night. Despite taking a 1-0 lead into the first intermission, the Caps were out-shot 15-7 over the first 20 minutes of hockey. In the second period, the lackluster play of the home team caught up to them on the scoreboard. 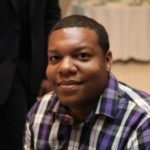 While the shot differential stayed at eight, the Blues were by far the more accurate team; scoring three goals in less than a five minute span to take a 3-1 lead into the second intermission. The most surprising part of the second 20-minute sequence is that the Capitals have dominated that part of the game throughout this season; outscoring opponents 62-42 prior to tonight (the Blues trailed in the comparable category 39-46). The final period of hockey was a lot more of the same for Washington-ineffective. Vladimir Tarasenko added a power play goal halfway through the 3rd period to seal the 4-1 loss for the defending Cup champs. Pheonix Copley got the start in goal against his former team and registered 33 saves. 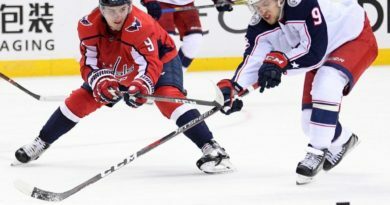 Copley suffered his second straight loss after playing in relief of Braden Holtby Saturday night and losing in overtime. The Capitals face another redemption game tomorrow night as they travel to Nashville to avenge their New Year’s Eve loss to the Predators. Puck drop will be just after 8:00pm.